I am the best tutor ever! I truly enjoy teaching and attending to each student's particular need and watching my students succeed, no matter what their level of education or learning experience. I am highly qualified in several subjects. I have a Bachelor's Degree in Physics and Astronomy (double major), and a minor in mathematics from the University of Washington 2007. I have taught a wide range of mathematics from elementary to more advanced calculus, and first year physics at the university level with great success. I am also an R.N. and have a Bachelor's Degree in Nursing from California State University (Sacramento), with many years of experience in ICU/CCU and other specialties, and as a Director of Nurses. I am a recipient of the Clara Barton medal from the American Red Cross, and have received a California Highway Patrol Award for saving a persons life. I assist with topics such as biology, anatomy, physiology and complicated nursing questions. I also prepare students for the R.N. NCLEX, TEAS and PAX exams. I also have experience writing scientific papers and assist with both creative writing and vocabulary skills. I have helped many students improve their English and language arts skills. I have traveled all over the United States as a Clinical Information Implementation Specialist, teaching and implementing information systems. I have two medical patents, with an additional patent pending at this time. As a result of my wide experience in several fields, I have been able to help students prepare for and improve their scores for the updated 2018 ACT and PSAT and SAT exams. My students have been accepted to the colleges of their choice. I have many additional talents that are listed in my profile if you require tutoring in a specific subject. I am also an accomplished pianist and teach piano. Study and organizational skills are very important. I help the student learn how to organize, develop better ways of note taking, finish difficult homework problems, and understand the subjects with examples from every day life. I teach beyond the questions that the student asks. I give ideas on how to best learn the subject, and how to remember what was taught. I tailor the session to address the particular student's need. It is important for a student to feel accomplished in a subject that may be difficult for them. Rate details: Special pricing may be available for students that continue to work with me over an extended period of time. I have been an R.N. for over 20 years. I have a Bachelors of Science Degree in Nursing from California State University, Sacramento. I have been a teacher, administrator, supervisor, ICU nurse, and medical advise nurse. 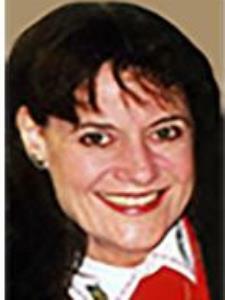 I have worked in home health and the medical information industry. I have two medical patents. Additionally, I have taken several continuing education courses throughout my career including case management, ACLS, PALS,and BLS. I understand how the NCLEX exam works and I have helped many nursing students succeed. I have also assisted nurses who did not pass the first time. I have helped them to understand the test taking process for this type of exam. I show students how to review for each section type, analyze practice questions and answers, and develop critical thinking skills. I address each student's need individually, and make a plan to improve in the weakest areas. I have assisted many students in writing personal essays for review by the college of their choice. I have experience teaching English reading and writing, and assisted students in taking the SAT and ACT exams. I have a Bachelors of Science Degree in Physics and Astronomy from the University of Washington with a minor in mathematics. I am certified to teach Elementary Math through WyAant.com, along with several other certifications. I have taught students at all levels of mathematics from elementary mathematics to college courses in calculus with great success. It is important for the student to learn the concepts of math in elementary school. Elementary math is used in every day life. Elementary math is an important building block for future math classes but can be difficult for some students. I show the student how to analyze the meanings and develop a conceptual understanding and comprehension of mathematical concepts, operations and relationships. I teach the student how to take notes, prepare for exams, understand the concepts, and learn to listen in class. I give the student additional examples so that they can relate the math to every day subjects. I show them that math is sensible, useful and worthwhile. I cover the following topics and more for the student depending on their curriculum and need, and I am prepared to answer any questions they have: Grade 1 Addition and subtraction properties and extending counting sequence; understanding place values; understanding length measurements and length units; tell and write time; intro to geometry; partitioning circles and parts of geometric figures; recognizing patterns. Grade 2 More problems involving adding and subtracting; introduction to multiplication; measurements of lengths and addition and subtraction; time and money; shapes and attributes; Intro to Venn diagrams. Grade 3 Multiplication and division and properties between them; larger numbers; place value and multi digit arithmetic; beginning fractions; measurements; intervals of time; introduction to volumes; masses of objects; concept of area related to multiplication and addition; perimeters; geometry shapes and attributes; describe, extend, and make generalizations about geometric and numeric patterns; represent and analyze patterns, using words, tables, and graphs. Grade 4 More word problems, multiplication division and factoring; estimation; rounding; generate patterns; sequences; reasoning skills using Caesars Cipher ; numbers and operations in base ten; sum and subtract fractions; equivalence and word problems; measurement and data, systems of units; intervals of time, beginning use of volumes, measurement of quantities using diagrams and line diagrams; beginning measurement of angles, rays and line segments; perpendicular and parallel lines; identifying right triangles Grade 5 Generate and analyze patterns; generalize place value understanding; multi digit arithmetic; additional fraction equivalence and ordering; decimal notation for fractions; more in measurements and conversions; angle measurements; draw and identify angles and their properties and measurements; more concepts of volume related to multiplication and addition; negative numbers, simple sequencing of numbers; concept of infinity. Grade 6 Ratio concepts, proportions and reasoning; dividing fractions by fractions, multiply and divide multi digit numbers; multiply, divide, compare, convert decimals ( and base ten); percents and, fractions; rational numbers; one variable equations and inequalities; relationships between dependent and independent variables; surface area, volume of various geometrical figures; some statistics, summarize and describe distributions; develop understanding of statistical variability and experimental probability; introduction to pie charts, stem and lead plotters, box plots and bar graphs; Introduce the student of the Cartesian coordinate system and plotting numbers; introduction to slopes. I have been a teacher and tutor and have been successful in helping many students become successful in their classes over the years. I have a diverse background with experience and certifications in many subjects. I also have a Bachelors of Science Degree in Astronomy and Physics as well as a Bachelors of Science Degree in Science in Nursing. It is important for the student to study properly early in their education. I also help students in college who are struggling with advanced classes. I prepare students for exams, help them to develop study habits and self discipline, learn to prioritize, organize, and take proper notes in classes. I show the student how to learn with flashcards, finding the right place to study, how to study science textbooks, prepare for the classroom, and use active listening. There are several types of learning styles (visual/verbal, kinetic learner/tactile, visual nonverbal, auditory/verbal). It is important to identify the learning style in order to effectively use the student’s innate skills. Additionally I show the student how to take on line tests, use multiple sources for learning including the internet, how to research a topic and identify alternative sources of information. I have specific experience preparing high school students for the 2017 ACT, PSAT, and SAT. I am currently assisting students studying for the 2018 exams. I can help you with all sections of the exams, including exam specific subjects. My students have done well, and most have been admitted to the colleges of their choice. My students have increased their scores and understanding of the topics in mathematics, science, and English, (reading and writing). I use multiple resources including books, web sites, and additional handouts. I also help the student organize and understand the test taking process, and develop critical thinking skills needed for the exams. I have a Bachelor of Science Degree in Physics and Astronomy with a minor in mathematics, (G.P.A., 3.8), from the U.W. in 2007. I am also an R.N., B.S.N., with several years of experience in I.C.U. and E.R., and several other medical disciplines including teaching. I have two medical patents and have written several scientific papers and technical manuals. I also have experience as a Clinical Information Implementation Specialist. The ACT exam is a college entrance exam that consists of four tests that assess the student’s capacity to complete college level work. All four year colleges and universities in the United States accept the ACT. Other factors such as G.P.A., extracurricular activities, and class rank are usually taken into consideration for admission to the educational institution. The exam includes English, mathematics, reading and science reasoning, and an optional writing test. Each test is scored individually. A composite score is the average of the four scores. On practice exams I show the student how to determine the correct answers quickly. I show the student how to "map" paragraphs in order to extract out key information. I also show the student how to identify organizational patterns and structures in sentences and paragraphs, and identify incorrect grammar. Since the student must be able to read the passages quickly and understand the underlined sections of the passages, I review reading comprehension and writing skills with the student . I have a Bachelor of Science Degree in Physics and Astronomy and a Bachelor of Science Degree in Nursing. I have two medical patents. I have been a Clinical Information Implementation Specialist, with experience writing, teaching and tutoring experience. I am qualified in several subjects including ACT English, ACT reading, and writing. I have helped many students in many subjects by using different techniques for reading comprehension, thereby developing English skills. I am very knowledgeable about the types of questions that are asked on the ACT exam. The ACT reading test takes 35 minutes and has 40 questions. Four passages are taken from prose fiction, social sciences, natural sciences and humanities and are at about the same level difficulty as college text books. The passage is displayed on one side of the page with numbered lines. The other side of the page contains the multiple choice questions and answers related to the section. On practice exams I help the student how to determine the correct answers quickly. The student must be able to read the passage quickly. I show the student how to pick out the most important components of a passage and individual sentences. I show the student how to answer the following questions in the passage, know some definitions and things to look for, and how to perform the following: Whose point of view is the passage taken from and how did that person see himself? What are the inferred consequences or outcomes in a passage? What statements are supported in a passage and how? How is the writer and his attitudes characterized from the story? Clarify and define statements. Identify main points and purpose in a passage. Compare the meaning of various words. Learn the basis for the future or decisions that should be made or weren’t made in the passage. What are some of the inferred reasons for outcomes? Know definitions of some technical terms. Define a section of the passage in different words. According to a passage what would or should the protagonist or antagonist do. What are the main points in the end, and in the beginning and how they are tied together? What summarizes a section in the passage? Why were certain subjects rejected in the passage (if applicable)? How did others affect the protagonist, or antagonist? Distinguish between two different views in a passage. Identify the author’s viewpoint on subjects. Identify the meaning of sections of the passage. Analyze suggested saying. Understand and see the passage section comparisons. What is least likely to occur and most likely to occur. What certain phrases or sentences really mean. Analysis of a fact. I have specific experience helping high school students prepare for the 2016, 2017, and 2018 ACT, PSAT, and SAT. I can help you with all sections of the exams. My students have done well, and most have been admitted to the colleges of their choice. My students have increased their scores and understanding of the topics in mathematics, science, and English, (reading and writing). I use multiple resources including books, web sites, and additional handouts. I also help the student organize, understand the test taking process, and develop critical thinking skills needed for the exams. I review the student's reading comprehension skills, and show them how to "map" the paragraphs in the passages. I also assist the student in writing the required essays. I have a Bachelor of Science Degree in Physics and Astronomy with a minor in mathematics, (G.P.A., 3.8), from the U.W., 2007. I am also an R.N., B.S.N., with several years of experience in I.C.U. and E.R., and several other medical disciplines including teaching. I have two medical patents and have written several scientific papers and technical manuals. I also have experience as a Clinical Information Implementation Specialist. I have a Bachelor's Degree in Physics and Astronomy and minor in mathematics from the University of Washington. I have tutored students in Geometry with great success. I review the student’s understanding of algebra and basic math if needed and incorporate that into the subject of Geometry. The student is assisted in organizing their homework, taking notes, preparation for exams, and given new examples that will help the student understand the material. I assess on the topics the student is having difficulty with. I tutor in Plane Geometry and Solid Geometry for High School and beginning college students. More difficult college Geometry is included in other subjects I teach. PHYSICS (CLASSICAL): I have a Bachelors of Science Degree in Physics and Astronomy (double major) from the University of Washington 2007 with a minor in mathematics. I received straight A’s in my first year of physics and a final GPA in physics of 3.57. I also took classes in special relativity, quantum mechanics, electrodynamics, thermodynamics, optics, and electrical circuits. I have two medical patents, one which required designing circuitry that I sold with great success. I have a deep appreciation for physics and its usefulness in many scientific applications. I have tutored many students in physics and mathematics. I am familiar with college and high school level physics lab work and analysis and the many formulae that are necessary to understand the theories. I help the student to understand the subject matter by offering different explanations or using visual aids. I show the student how to draw free-body diagrams. I also show the student how to organize their notes and study for exams. I review the mathematics necessary for physics, including algebra, trigonometry and geometry if necessary. I can teach calculus based physics or algebra based physics. The following is a partial list of subject matter I am qualified to teach: Mathematics: Scientific notation, metric measurement, standard measurements, dimensional analysis, functions of sine, cosine and tangent and international system of units. Kinematics – motion in a straight line: Displacement, velocity, acceleration and dimensional kinematics and vectors. Rotational Kinematics: Angular acceleration, rotational motion. Rotational Dynamics: Torque, inertia, equilibrium and non equilibrium states. Mathematical models representing motion. Dynamics and the study of forces: Newton’s three laws. Forces and Motions in Two and Three Dimensions: Vector addition and subtraction, projectiles, objects moving in a circle, and pendulums swinging back and forth, pulleys, drag, tension and frictional forces, time dependent forces and pseudo forces. Gravitation: Kepler’s three laws of planetary motion and the force of gravity. Momentum and Newton’s three laws in terms of momentum: Multi particle systems, motion of a complex object, angular momentum and angular velocity, combined rotational and translational motion. Energy and Work: Energy and work energy theorem. Work done by a variable force. Level and inclined plane, pulley, wheel and axel, and the wedge and screw. Power. Energy: Kinetic (energy of motion) and potential energy. Mechanical, chemical, nuclear, and gravitational (energy of position). Conservation of energy, internal energy, reaction and decays. Thermodynamics: Laws of thermodynamics, thermal energy and equilibrium, specific heat, and heat gained or lost by a substance in the same state or changing state, ideal gases, entropy, enthalpy, heat capacity, work, internal energy, engines. States of matter: Solid, liquid and gaseous states. Fluid Statics and Dynamics. Pressure, fluid flow, viscosity, turbulence and chaotic flow. Pascal’s principle, Archimedes Principle, Bernoulli’s Principle. Thermal Expansion of Matter: Gas Laws, (Boyles, Charles, Gay-Lussac’s, Combined Gas Law, Ideal Gas Law. Oscillating Systems: Harmonic Motion, Uniform circular motion. Wave Phenomena: Frequency, wavelength, speed, amplitude, sound and light, interference and superposition, energy in wave motion, standing waves and resonance, reflection, refraction, single and double slit interference and diffraction, gratings and spectra, polarization, optics, use of mirrors and lenses to focus light. Telescopes, photoelectric effect, Compton Effect, Maxwell’s equations, basic equations of electromagnetism, Poynting vector. Electricity: Static Electricity, Coulomb’s law, electrical field, electrical potential difference, capacitance, electrical current, electrical power, Ohm’s law, electrical circuits, circuit diagrams, series circuits and parallel circuits, dc circuits, alternating current circuits, magnetism, induction, electrical conduction in solids. Atomic Theory and Nuclear Processes: Atomic spectra and energy, quantum model of the atom, nuclear processes, natural radioactivity, nuclear fission, nuclear fusion, mean free path, lasers, periodic table, particle physics and cosmology. Introduction to Special Relativity: Lorentz Transformations. I have played piano since I was seven years old. Throughout several years I have taught various levels of piano. I instruct the basics and explain the language of music including names of notes and terms such as tempo, andante, allegro, largo, staccato, etc., major, minor, whole notes, half notes, quarter notes, eighth notes and sixteenth notes, quarter rest, half rest,whole rest dotted notes, flats and sharps for example. I teach classical and modern piano techniques and music. I am also a serious advanced piano player and I have performed in public. I help more advanced students who can play Beethovens Moonlight Sonata, and music by Bach, Mendelssohn or Chopin. I have specific experience helping high school students prepare for the 2016, 2017 and 2018 ACT, PSAT, and SAT. I can help you with all sections of the exams, not just mathematics. My students have done well, and have been admitted to the colleges of their choice. My students have increased their scores and understanding of the topics in mathematics, science, and English, and the essays. I use multiple resources including books, web sites, and additional handouts. I also help the student organize and understand the test taking process, and develop critical thinking skills needed for the exams. I have a Bachelor of Science Degree in Physics and Astronomy with a minor in mathematics, (G.P.A., 3.8), from the U.W., 2007. I am also an R.N., B.S.N., with several years of experience in I.C.U. and E.R., and several other medical disciplines including teaching. I have two medical patents and have written several scientific papers and technical manuals. I also have experience as a Clinical Information Implementation Specialist. I have a Bachelor's Degree in Physics and Astronomy from the University of Washington and minor in mathematics (2007). I have taught many students in all levels of mathematics with great success. I have specific experience helping students prepare for 2016, 2017 and now the 2018 SAT and ACT exams, in all sections, not just mathematics. I cover all topics required to help students obtain higher scores on the exams. Most of my students have been admitted to the colleges of their choice. I assist the student in the reviewing the main components of the math section of the ACT exam which include: pre algebra subjects, algebra, coordinate plane and solid geometry, trigonometry, imaginary numbers, and probabilities. I review test taking strategies and discuss with the student how to focus and strengthen areas of weakness. I review basic organizational knowledge of expressions and equations that include: order of operations, odd and even numbers, and use of signed numbers, and real numbers. The following topics in each category are covered: Pre Algebra: number problems, multiples, factors, primes, divisibility and remainders, percentages, operations with fractions, decimals ratios, proportions, mean, median, mode, probability, absolute value, exponents, roots and series. Algebra: substitution, simplifying algebraic expressions, factoring, writing expressions and equations, solving systems of linear equations, multiplying binomials, inequalities, formulas and applications of algebra, rational expressions and equations, and graphing linear equations. Intermediate Algebra: solving and factoring quadratic equations, solving systems of equations, functions and compound functions, basic matrices, and basic logarithm rules and examples, and probabilities. Coordinate Geometry: number lines and inequalities, the (x,y) coordinate plane, distance and midpoints, slope, parallel and perpendicular lines, equation of a line, slope intercept, graphing equations, conic sections such as hyperbolas and parabolas, and circles. Plane Geometry: angles and lines, triangles polygons, circles, simple three-dimensional geometry. Trigonometry: sine,cosine,tangent, solving triangles, trigonometric identities, trigonometric graphs, stretching, compressing the graphs and expressions, periods. I have a Bachelor of Science Degree in Nursing with several years of nursing experience. I have worked in various ICUs, ERs, kidney dialysis, medical surgical wards, medical advise clinic, and multiple clinic settings in a large HMO in Washington and California. I have been a head nurse and charge nurse. I was also trained in poison control and worked in the Regional Poison Center in Northern California. I have worked outside of the hospital setting in the community. Throughout the years I have had an opportunity to teach nursing in these settings, and have assisted nursing students in their NCLEX exams with great success. I also have two medical patents. I cover all the subjects in a college based nursing curriculum. I can assist the student in understanding the nursing process, as well as nursing diagnosis and treatments. I explain medical terminology and pharmacology related to diseases. I am familiar with all aspects of nursing care and would be delighted to help you achieve your goals. I have a Bachelor of Science Degree in Physics and Astronomy and a Bachelor of Science Degree in Nursing with several years of teaching experience. I am certified in several science and mathematics courses. As a tutor I have helped many students study for exams and I prepare students for all tests included in the ACT exam. The ACT exam is a college entrance exam that consists of four tests that assess the student’s capacity to complete college level work. All four year colleges and universities in the United States accept the ACT. Other factors such as G.P.A., extracurricular activities, and class rank are usually taken into consideration for admission to the educational institution. The exam includes English, mathematics, reading and science reasoning, and an optional writing test. Each test is scored individually. A composite score is the average of the four scores. The ACT Science Reasoning Test consists of seven science passages that the student is given 35 minutes to read and 40 questions to answer. Usually the first questions test for the comprehension of the subject in the passage. Questions are in order of increasing difficulty in each passage. The student must be able to read and comprehend the passages and pick out details quickly. There are detailed questions about data representation in charts and tables from research or experiments. There may be detailed questions about conflicting and agreed upon viewpoints from different scientists. There are questions about the outcomes of the experiments. The following are only some of the study tools I use in preparing the student for their exams: I offer a review of scientific jargon. It is easier for a student to understand most passages with a background in chemistry, physics, and biology. I review several examples of data and charts with the student. The student must be able to compare tables and charts of data involving time, processes, starting and endings, temperature, distances, conductivity, volumes, and current for example. Questions about similarities and differences in experiments and tables are usually asked on the test. The student might be asked to change one variable and show what happens to the other. The student might be asked if the experiment were to change what the suggested outcome would be. I show the student how to read the passage and look at the data quickly, and how to restate the question in the student’s mind to make the data easier to understand. I show the student how to visualize an experiment which will quickly make the description of the experiment more understandable. I show the student several examples of ACT practice exams and review test taking skills. I have a Bachelor’s Degree in Physics and Astronomy (double major) from the University of Washington. I received an overall GPA of 3.8 in my astronomy classes as well as a GPA of 3.7 in my physics classes. I am familiar with the use of CCDs, telescopes, spectrum analysis, and IRAF. At the university I worked on several projects, selected objects to be viewed, obtained data, extracted data from files and created files for projects. FOR THE BEGINNING STUDENT I COVER THE FOLLOWING TOPICS IN GENERAL: The history of astronomy and the universe. The planetary system and birth of the planets: The solar system, atmospheres, the Earth, terrestrial planets, Jovian planets, the moons, rings, era of bombardment, Oort cloud, Kuiper belt, asteroids and space debris. Mathematics of the solar system: The celestial sphere and coordinates, right ascension and declination, solar and sidereal days, seasonal changes, precession, the motion of the moon and planets, Newton’s laws and Kepler’s laws, introduction to gravity, eclipses, cosmic distance scale. Stars and Stellar evolution: Electromagnetic radiation, the spectrum, the sun, measuring stars for apparent brightness and luminosity, interstellar medium, life and deaths of stars, main sequence, the HR diagram, neutron stars and black holes. Galaxies and cosmology: Hubble’s galaxy classification, galaxy formation, active galaxies and quasars, colliding galaxies, cosmic evolution and the big bang. Types of telescopes. FOR MORE ADVANCED STUDENTS I OFFER COVERAGE OF THE ABOVE TOPICS, INCLUDING MORE IN DEPTH STUDY AND MATHEMATICS OF THE UNIVERSE: celestial mechanics, in depth study of the spectrum of light and quantization of energy, introduction to special relativity, the interaction of light and matter, binary stars, stellar spectra and stellar atmospheres, interior of stars, stellar pulsation, degeneracy, black holes, galactic evolution, the structure of the universe and expansion, and introduction to relativistic cosmology. I have a Bachelors Degree in Physics and Astronomy with a minor in mathematics from the University of Washington. In all my astronomy classes I studied geology in depth. Geology covers a wide variety of subjects which include the structure, development and chemistry of the earth, planets of the solar system and beyond, the environment and engineering, basic principles of geology and modeling. I am certified through Wyzant.com to teach geology and would be delighted to assist you in understanding the science of Geology. As an R.N. I have a Bachelor's Degree in Nursing from California State University Sacramento. I have worked as an RN for many years in various specialties including ICU, and emergency nursing. I served as a part time teacher at the University and as a medical advice nurse. I studied nutrition in depth teaching concepts of nutrition science, exercise and nutrition supplements, food management and nutrition, nutritional biochemistry and assessment, medical and public health nutrition and cultural and social aspects of food. I would like to help you learn and share my expertise in this subject. I worked as an R.N. in several areas over a period of more than 25 years including intensive care and emergency room. One of my positions was working for the poison center in California where I answered calls from all of Northern California. I trained in pharmacology, pesticides, mushrooms, snake bites, and chemical exposure. I have taken updated programs in pharmacology for nurses at Bellevue College. I have a Bachelors of Science Degree in Physics and Astronomy from the University of Washington 2007 with a minor in mathematics. A physical science class usually offers an overview of astronomy, physics, chemistry, geology and meteorology. I have taken several courses in each of these subjects. Additionally, the astronomy degree required that I take classes in atmospheric science and geology of the earth and planets. I am certified through WyzAnt.com to teach physical sciences. Since there are many topics within each subject you may review my expertise in those subjects. I show the student how to remember technical and scientific terms, read tables and data, and how to analyze the data. I show the student how to study for exams, organize homework and take notes. I have a Bachelor's of Science Degree in Nursing with several years of experience in many fields of nursing including ICU, CCU Open Heart Units, ER, Trauma, Burn, medical advice, and teaching nursing. I also have a BS Degree in Astronomy and Physics. 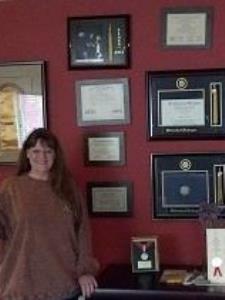 I have taken several continuing education credits, and have received awards throughout my career. I am certified to teach anatomy and physiology. There are many components of the human body, and I try to make it easy by offering several ways to remember the anatomy. Each system in the body relates to another and I show the student how to understand those systems. TEAS (Testing for Essential Academic Skills) is required for entrance into most nursing schools. This exam does not test for knowledge of nursing. The schools want to know if the student has developed sklls required to succeed in nursing school. The TEAS test contains four basic sections: mathematics, science, English and reading. Because I have a very diversified background I am qualified to prepare students for this exam. I have been an R.N. for more than 30 years. I have worked in a capacity as a teacher, I.C.U. nurse, medical advise nurse, supervisor and administrator. I have two medical patents that required research, and have written scientific papers that required serious technical knowledge of the English language and writing. I have a Bachelors Degree from the University of Washington 2007 in Physics and Astronomy. I have taken high level mathematics and I have taught students in physics, mathematics, and prepared nursing students for the NCLEX exam. Wow, Nancy went above and beyond the call of duty to get my son prepared for the ACT exam. Nancy put together a schedule for my son to follow and met with him each week leading up to the exam. He has shown a tremendous amount of growth in a short period of time. Nancy jumped right into the material and worked through the testing we had. She moved pretty quickly it was a little difficult to keep up. She was very pleasant and responsive as we set up the appt. Nancy genuinely wanted to make sure I understood the concepts no matter how long it took. I appreciated it so much, and just after 1 lesson, I already feel so much more confident to take my test. She was able to squeeze in her time to tutor my daughter in Algebra II on a short notice. After the tutor my daughter was able to grasp the homework lesson. Thank you! She is excellent to identify the gap my son had and worked together for a plan. She is very experienced and putting best effort like behaving her own child. She knows the importance of what is she is doing and giving her best. Thanks! Nancy always comes on time and prepares with sufficient and relevant teaching materials for my son. Nancy goes extra miles and so thoroughly to teach my son different aspects in English subject. Her professional teaching attitude is exceptional. Our family like her a lot and will keep working with her in improving my son’s language need. Thank you Nancy for your great efforts! Nancy is a great tutor and was able to give a lot of suggestions and guidance in a few subjects for our son to follow. Highly recommended tutor for Math, English, Science and Study skills! Excellent tutor. Good explanation skill and also very good organized material. My daughter really liked her. We are definitely taking more lessons from her. Nancy is wonderful at teaching my daughter! She’s made physics and astronomy (plus the associated Math problems) super fun for my 5th Grader! Highly recommended!